In the tease, Daenerys Targaryen (Emilia Clarke) and Sansa Stark (Sophie Turner) meet for the first time as Jon Snow (Kit Harington) stands by. “Winterfell is yours, your grace,” Sansa says to Daenerys. Fans may recall that the previous season of “GOT” ended with Jon and Daenerys on the journey to the North, a journey Jorah Mormont (Iain Glen) warned against because of its potential dangers. 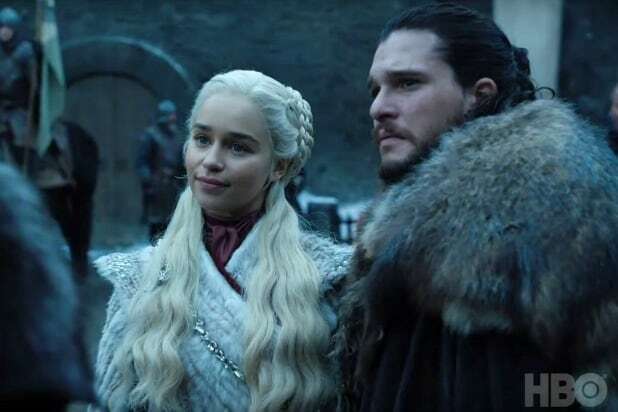 The eighth and final season of Game of Thrones is set to premiere on HBO in April.